Minister says “substandard construction” caused Laos dam to collapse. 25,000 people evacuated. The collapse of Laos dam that triggered massive flooding and devastation was due to substandard construction, the country`s Minister of Energy and Mines said Thursday. According to the state-run Laos News Agency, Minister Khammany Inthirath told reporters at a news conference the dam did not function well after southern Laos was inundated with heavy rainfall, which caused waters to rapidly rise. CNN`s calls to the minister were not returned. Referring specifically to the companies that constructed the dam, Inthirath said they will not be in a position to deny its responsibility for the incident. In a statement to CNN, South Korea`s SK Engineering & Construction, which was part of the joint venture to build the dam, said it was too early to say what had caused the accident. We`re focusing on the relief effort. The cause of the accident will be investigated. The cause of the accident will be revealed, so for that we cannot give a response, the company said. It`s been almost a week since the Xepian Xe Nam Noy Dam collapsed, swallowing the villages and towns downstream in more than 5 billion cubic meters of water. Roads were destroyed, houses eradicated and lives lost as the enormous wave of water swept over the southern Laotian province of Attapeu on Monday evening. As of Thursday afternoon, the death toll stood at 26, with at least 131 others still unaccounted for. Of the survivors, another 6,000 have lost their homes, with aerial images during the week showing residents stranded on roofs, possessions in hand. Inthirath said the Laos government had formed a special task force with various companies involved in the dam`s construction, among other parties, to seek a cause for the dam incident. 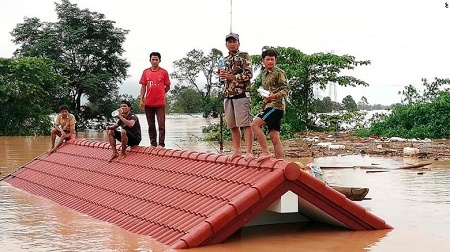 With the rescue effort ongoing, Lao Prime Minister Thongloun Sisoulith said it was the worst disaster faced by the small Southeast Asian country in decades. The strong tide of water from the broken dam immediately flowed through the community and washed away houses and villagers; many people were unable to move to the highland, Sisoulith said at a news conference Wednesday after visiting the affected areas. The damage wasn`t just limited to Laos. On Thursday, the Cambodian government announced it was attempting to evacuate 25,000 people from their northern border with Laos as floodwaters washed into the country. Water was rising to 12 meters in places in Stung Treng province, across the border from Laos, on Thursday, according to Cambodia`s state news agency. The dam was built on a tributary of the Mekong River, the longest river in Southeast Asia. The Mekong, which runs from the Tibetan Plateau through China, Myanmar, Thailand, Laos, Cambodia and Vietnam, is an important regional resource, providing fish stocks and electricity -- in the form of hydropower—to the people who live along it. Construction on the dam began in February 2013 and was due to cost an estimated $1.02 billion. Four companies were in charge of the venture: Ratchaburi, Korea Western Power Co. Ltd., SK Engineering & Construction Co. Ltd and Lao Holding State Enterprise, a state-owned firm, according to a website that appears to belong to the consortium building the dam. The flooding in southern Laos was expected to cause water levels to rise downstream, according to the Mekong River Commission, the joint Lao-Cambodian-Vietnamese organization that manages the shared resources of the Mekong. International Rivers, a US-based nongovernmental organization that has campaigned on behalf of residents who have opposed the dam`s construction, laid the blame with the Laos authorities for not providing more oversight of the construction process. Many dams in operation or planned are not designed to be able to cope with extreme weather events, the group said in a statement. 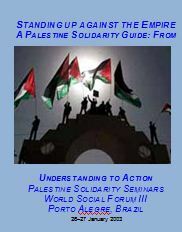 Communities were not given sufficient advanced warning to ensure their safety and that of their families. This event raises major questions about dam standards and dam safety in Laos, including their appropriateness to deal with weather conditions and risks. Daovong Phonkeo, director-general of Laos` Department of Energy Policy and Planning, told CNN earlier in the week there would be an inquiry into whether the private companies building the dam had abided by regulations. The collapsed dam isn`t the only one being built in the Mekong Delta. Two of Attapeu province`s most important industries are hydropower energy and electricity generation, according to the Laotian government. But critics of the project said dams have an outsized impact on the environment and local ecosystems. CNN`s Joshua Berlinger and Angus Watson contributed to this article. Photo: Villagers take refuge from the flood waters on a rooftop in the Attapeu province of Laos on Tuesday, 24 July 2018. Source: CNN.